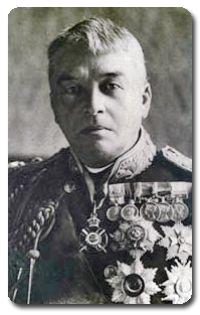 In early 1903 that most renowned, formidable and innovative of First Sea Lords - Admiral Sir John (Jackie) Fisher concerned that the Royal Navy might otherwise be overtaken in seagoing technical expertise by the burgeoning Imperial German Navy, introduced a scheme for the training of Boy Artificers, which, in his words, "....would prove second to none". Within two years three "Centres of Excellence" for the training of Engine Room Artificer Apprentices had been established at Chatham, Plymouth and Portsmouth, the latter housed in a collection of Victorian hulks in the harbour, being designated HMS Fisgard. By the early 1920's the training of all Artificer Apprentices, (including the newly introduced Electrical and Ordnance Artificer Apprentices) was concentrated in Fisgard at Portsmouth and this continued until Fisgard was moved to Chatham in 1930 where it was accommodated ashore until 1939. Then, rapidly increasing numbers of apprentices and the need to disperse resources, led to the training being split between the two new purpose-built establishments at Rosyth in Scotland and Torpoint in Cornwall that were named respectively "Caledonia" and "Fisgard". During the late 1940's Fisgard became the sole centre for the initial training and branch allocation of all Artificer Apprentices including Shipwright and Fleet Air Arm Apprentices of all specialisations. All of the ships names associated exclusively with the training of Artificer Apprentices (i.e. "Tenedos", "Indus", "Caledonia" and "Condor") have passed into history but the name "Fisgard" remained linked with Artificer Apprentices until 2006 when Fisgard Squadron at HMS Raleigh in Cornwall closed. Initially, entry to the navy as a Boy Artificer with its five-year educational and craft training leading to early advancement to Chief Petty Officer by the age of 23, (with good prospects of promotion to Warrant Officer and then Commissioned Engineer Officer) was by selection from Math's and Science from high-flying pupils of the Royal Hospital School. Later entry was made available to suitably qualified 15/16 year olds from Secondary Schools throughout the country particularly the naval port areas. Entry soon afterwards became dependent upon passing a national competitive open examination. Although the training course was revised over the years to reflect the rapid advance of technology and the consequent changes in naval requirements, the academic and technical craft training given to Artificer Apprentices continued to live up to "Jackie" Fisher's original aim. The sound education and technical training given at Fisgard has proved invaluable to all ex-apprentices whether they remained in the Royal Navy or returned to civilian life at an early point in their careers. In today's terms life at Fisgard, particularly before the 60's, was harsh. In exchange for a sixth form academic education training as a skilled craftsman and the development of any potential sporting ability, apprentices had to endure pretty poor living conditions, long working hours, ridiculously low pay, inadequate victuals and restrictive liberty. Nevertheless most "old-boys" of Fisgard look on their Alma Mater with pride and affection, undoubtedly because the Fisgard ethos lives on in them. Although many of the 200-plus divisions and classes that trained at Fisgard and Fisgard Squadron held reunions on significant anniversaries of their entry, there was no "old-school" association until the Fisgard Association was formed in November 1996. This followed a reunion held in Portsmouth in September 1996 for "old boys" who had trained at Fisgard during World War 2 (and organised by the Grenville 1941 entry) at which the desire for an all-Fisgard Association was made clear. The aim of this "old school" association, whose membership now exceeds 1100, is to organise social events for those who spent their formative years under training in the only "ship" which has an unbroken history for the exclusive training of Artificer Apprentices. Membership is open to (and restricted to) all those who have undergone training as an Artificer Apprentice, for any length of time, at any Royal Navy establishment. Members are requested to support the local and national reunion activities organised by the Association and to encourage former classmates, who are not members, to join and enjoy the comradeship.